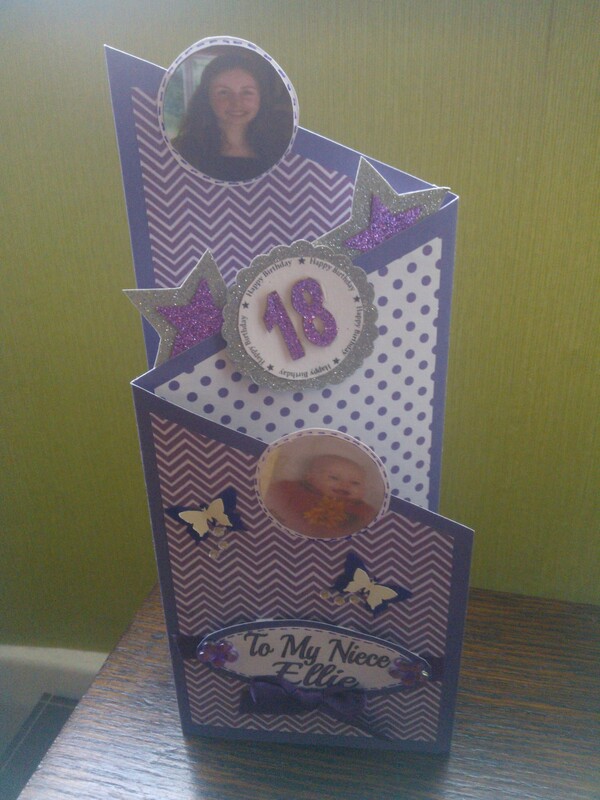 Been very busy making cards, cards, and more cards. 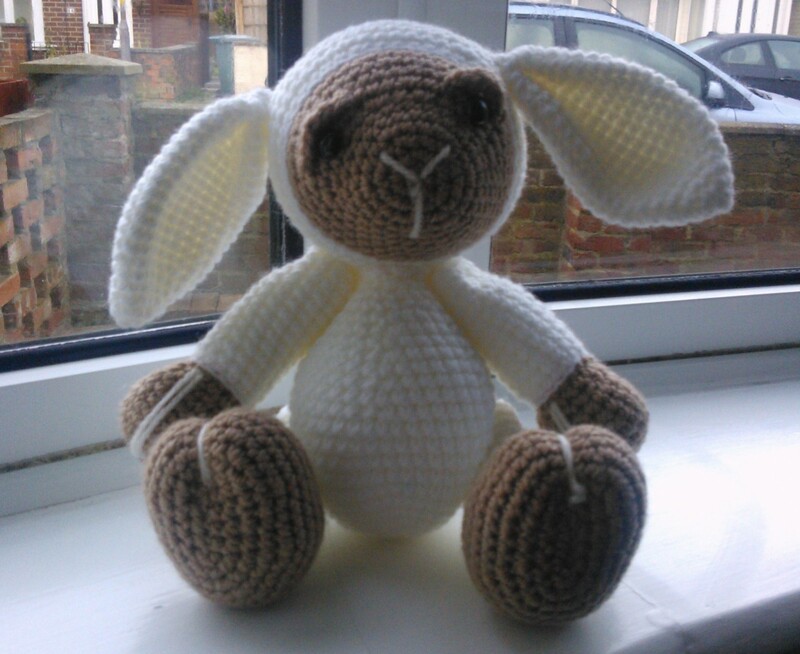 And a bit of crochet now and again. Here’s another selection of my handy work. Can’t believe I’ve only been doing this since the New Year – feel like I’ve done so much and learnt so much. 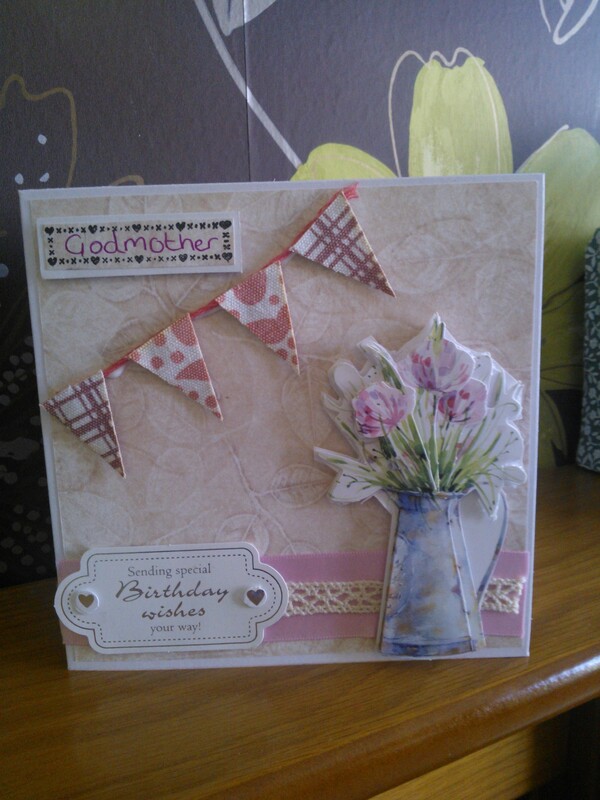 My creations have come on in leaps and bounds – when I look back at my first makes I can’t believe how basic they look. 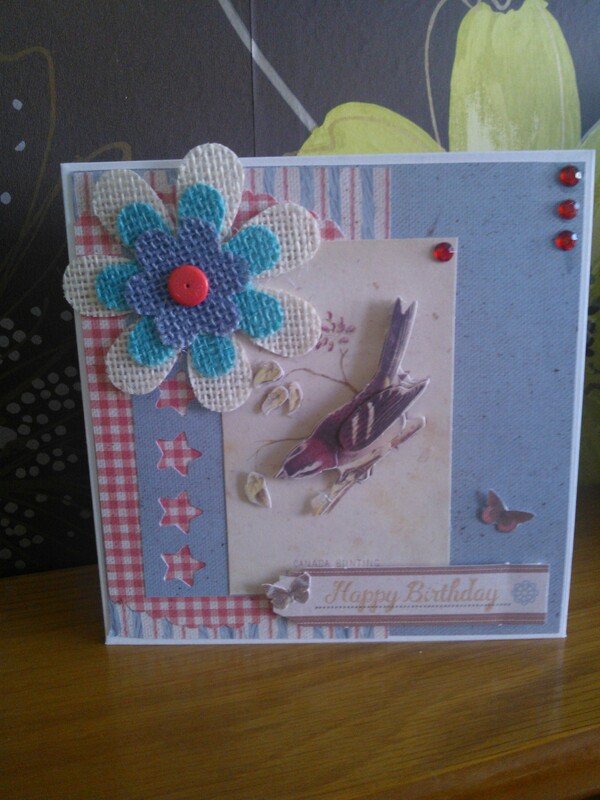 Thought I’d post a selection of my cards I’ve recently made. 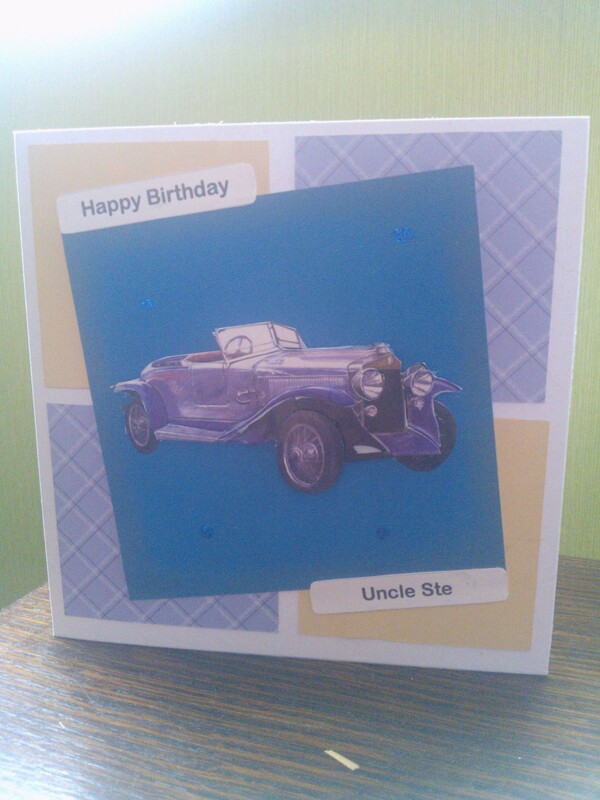 August and September have been a busy time for birthdays in my family so I’ve been very busy making cards. 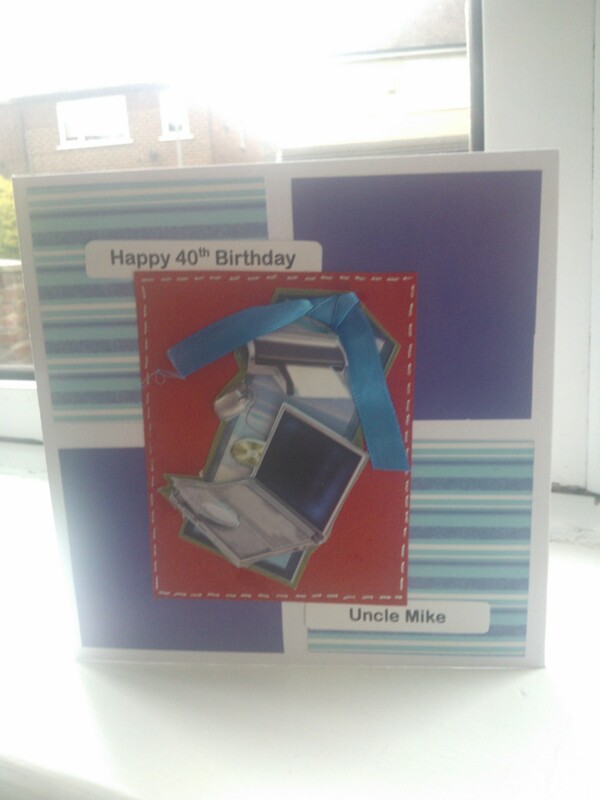 On top of that, August and September appear to be busy times for everyone else for cards too as I’ve had a good amount of orders from family and friends who have seen my Facebook page (Dawn’s Handmade Cards and Gifts). 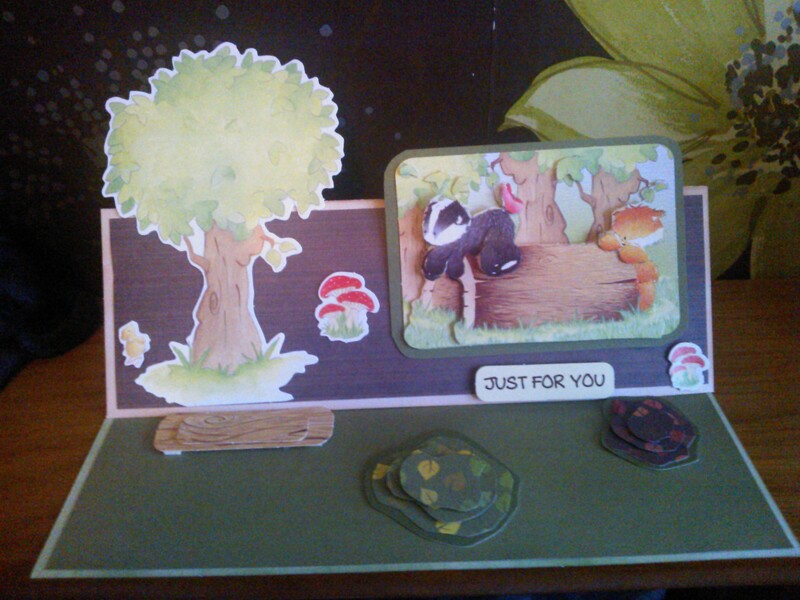 I made this card for a friends engagement. 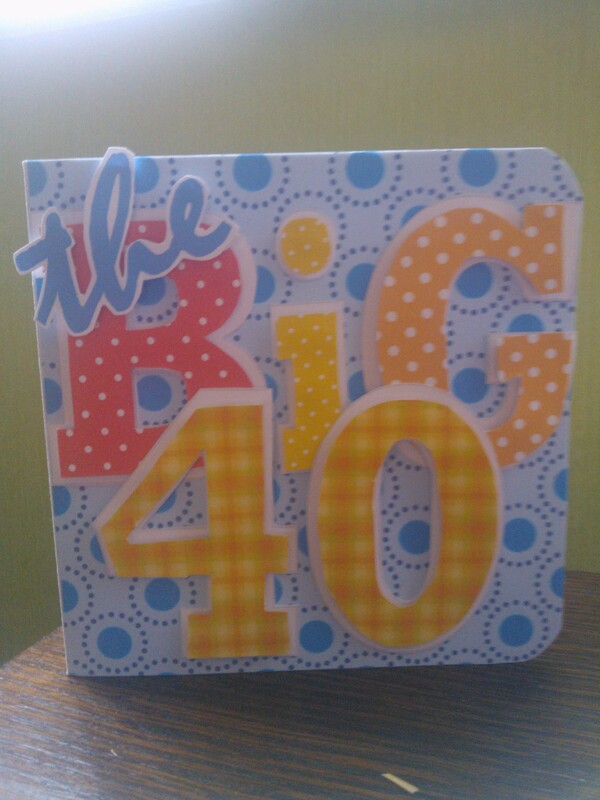 And it was my first attempt at paper cutting. 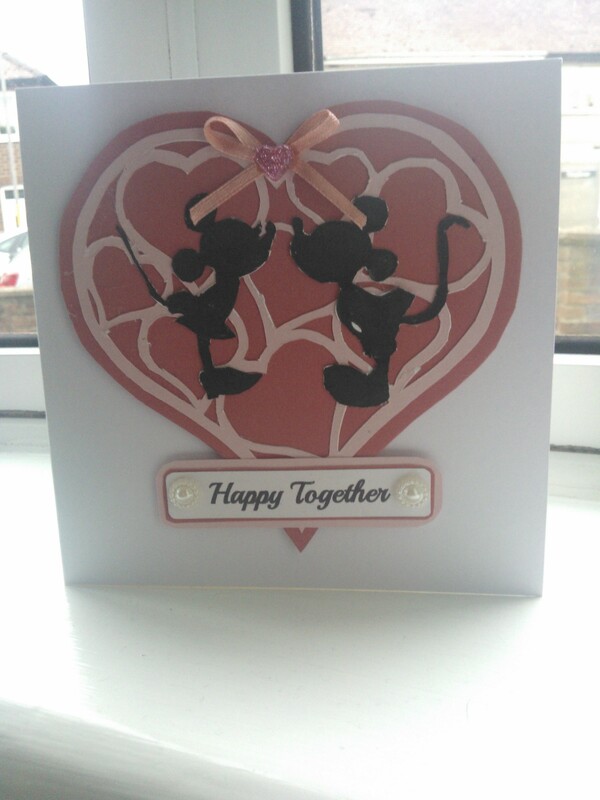 I chose a fairly simple heart pattern and a not so simple Mickey and Minnie Mouse. Two things I’ve learnt – 1. Stick to simple designs and 2. Reverse the design to any ink and pencil lines are on the back. Anyone else who enjoys paper cutting I would hugely appreciate any other tips. 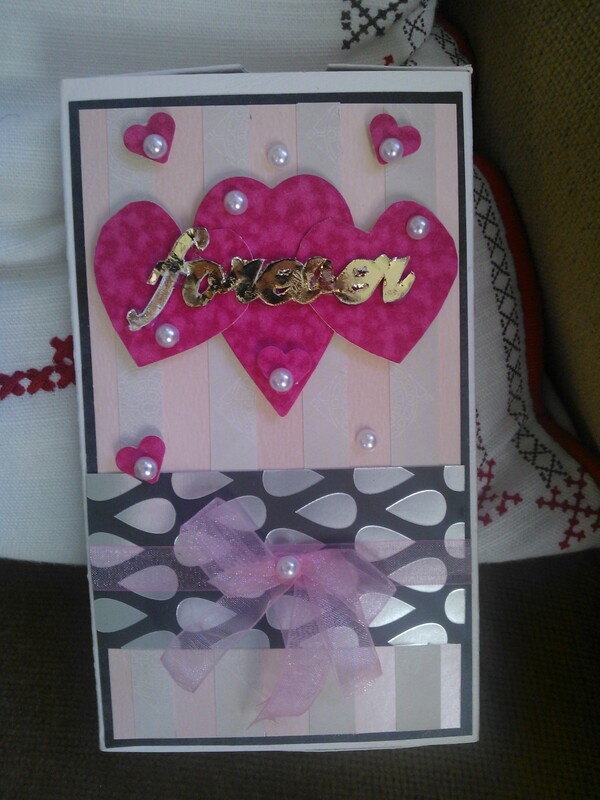 My daughter and her boyfriend have been together to a year and I wanted to make the occassion special for them so I made this simple but, I think, effective little card to mark the event. 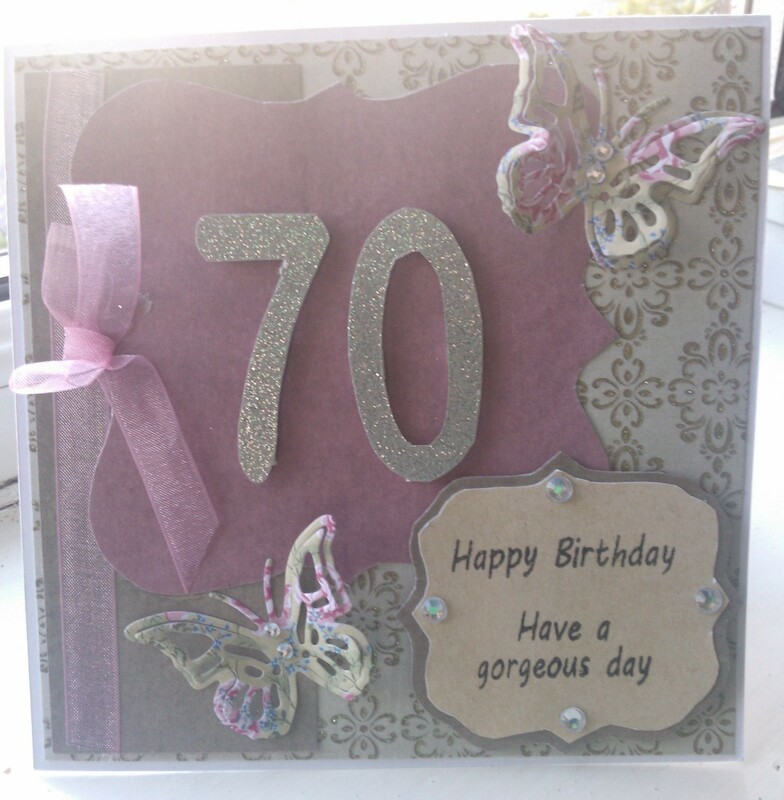 I used some textured card which I had bought very cheaply (89p for 8 A4 sheets) from Home Bargains – amazingly thick and good quality considering the price, definitely a bargain. I was intending on printing some heart paper off but my printer has decided it’s not printing properly (a problem that needs rectifying as I use my printer an awful lot now I’m into this card making malarchy 🙂 ). 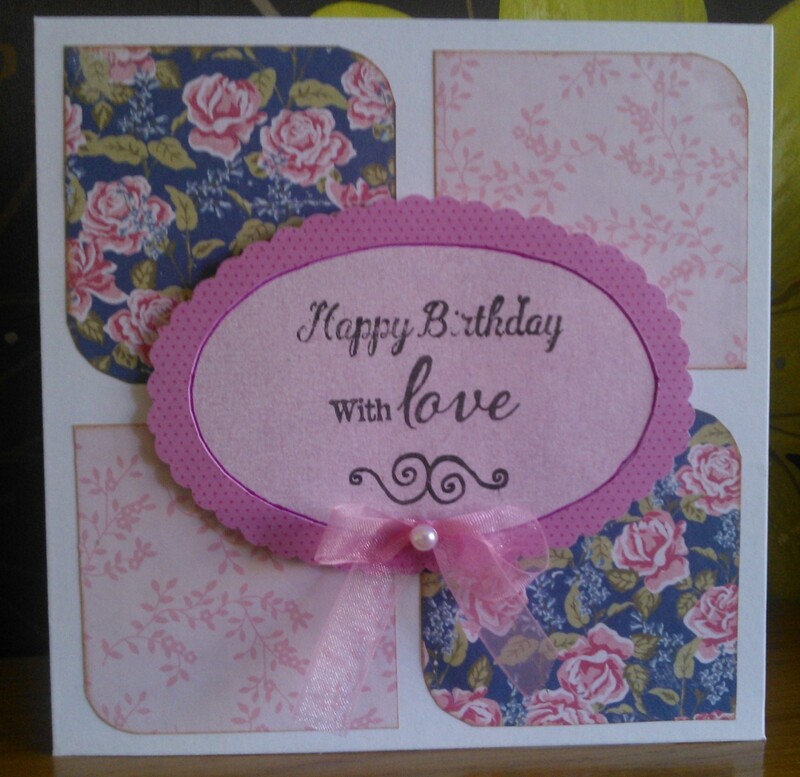 So instead I rummaged through my stash and came across some pretty pink paper which I think works equally well. The tricky part was cutting out the heart shapes with a craft knife – if anyone has any tips on how to effectively cut curves and circles with a craft knife if would be much appreciated. I think my next mission will be to learn calligraphy as I think it will add an extra special finished to some of my cards. But I’m a lefty so I know it’s not going to be an easy task. 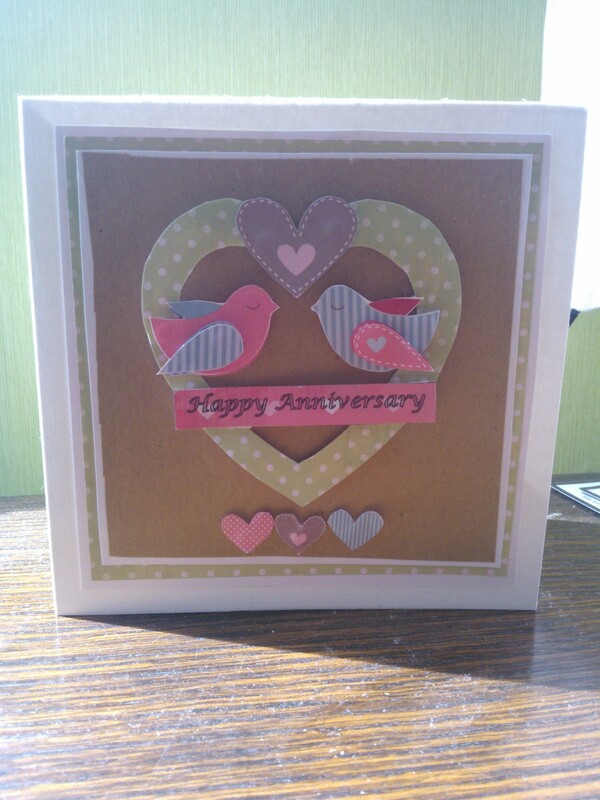 A quick anniversary card made from the Craftseller magazine. 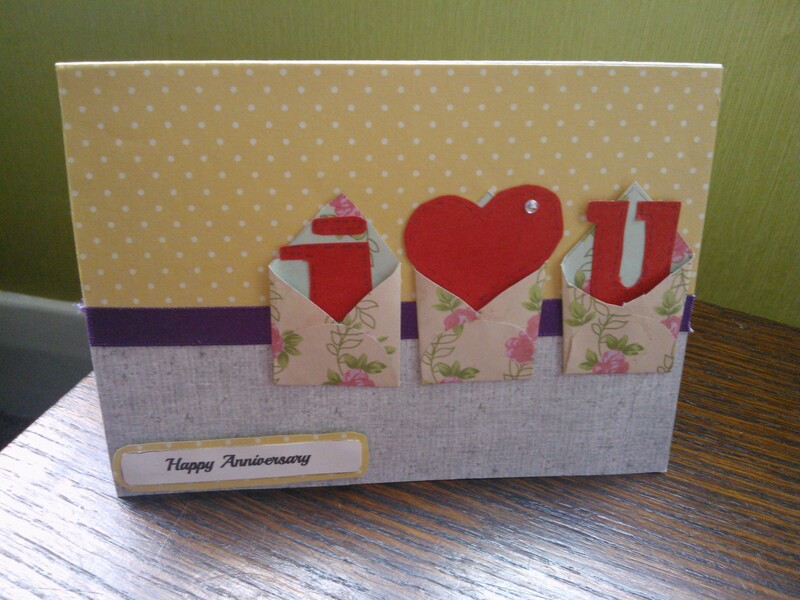 Was supposed to be a Valentines card but I think it works equally well as an anniversary card. 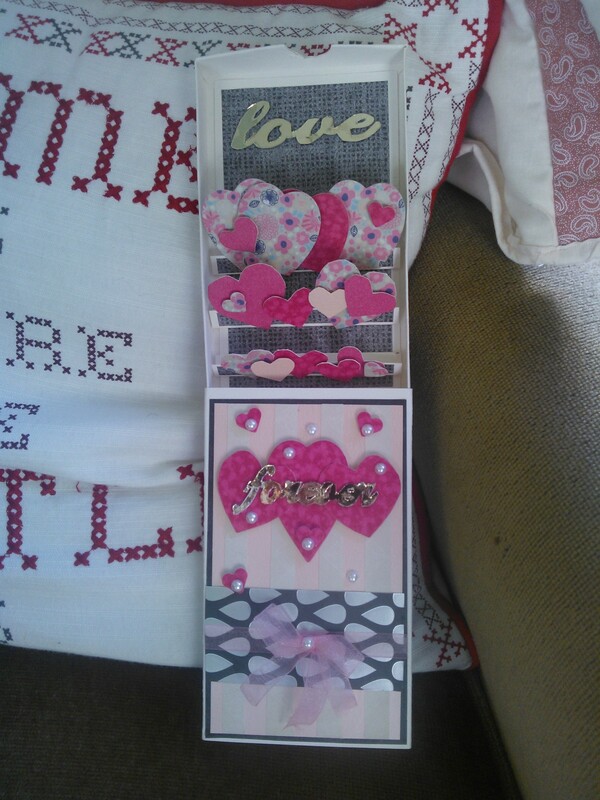 Today I decided to use my two crocheted love hearts to make my mum and dads anniversary card. And as promised here’s a picture. 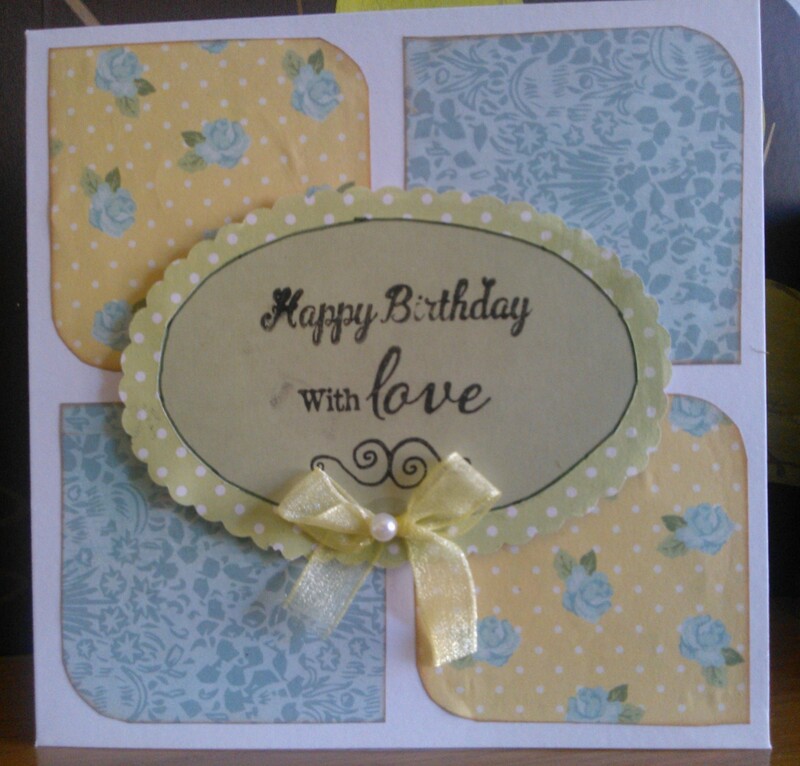 I used some freebie patterned paper to cover a plain white card. 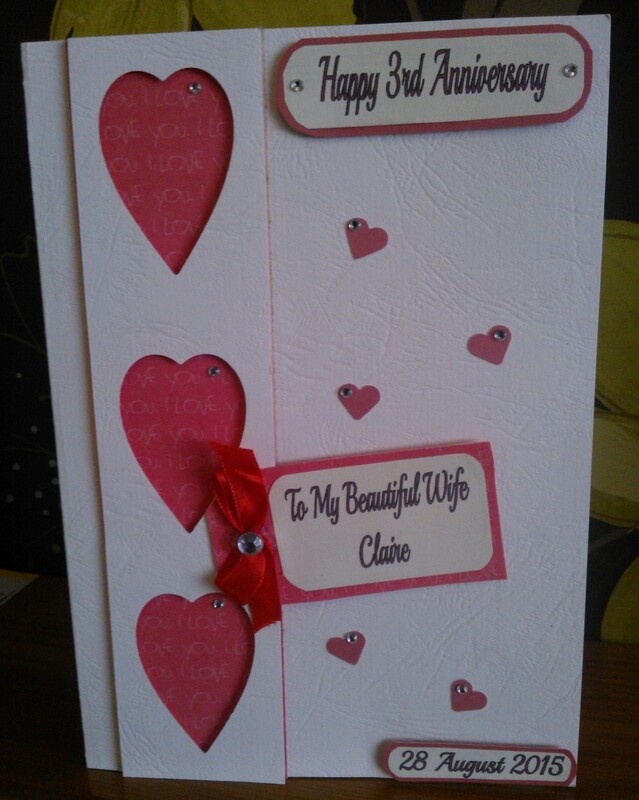 I also found some lovely white paper with silver embelishments to mount my hearts. 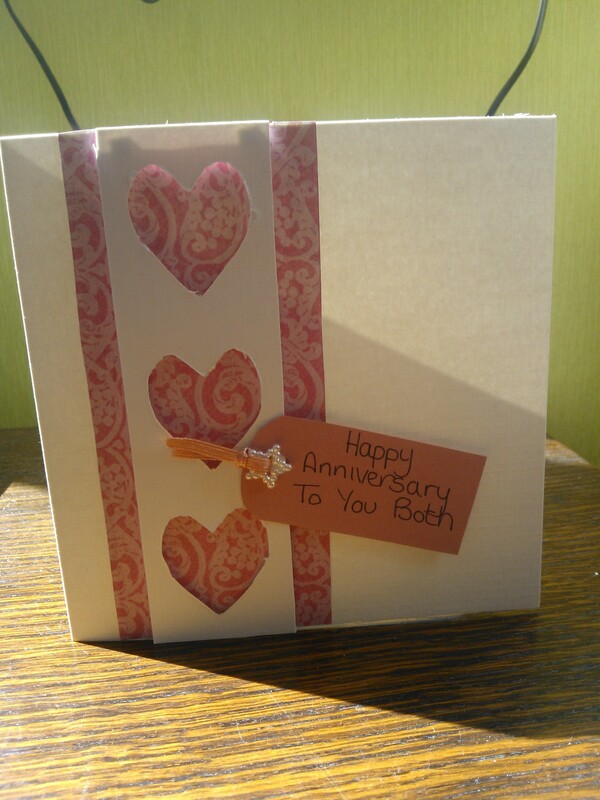 I then made happy anniversary tags out of card covered in pink paper and added a homemade bow.